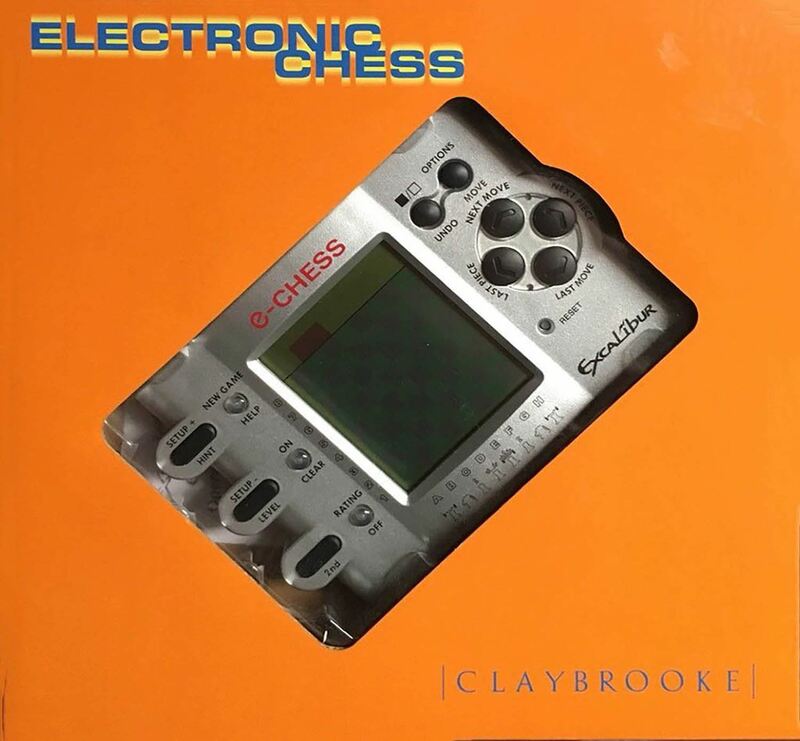 Congratulations on your purchase of Excalibur Electronics' e-Chess! You've purchased both your own personal chess trainer and a partner who's always ready for a game -- and who can improve as you do! 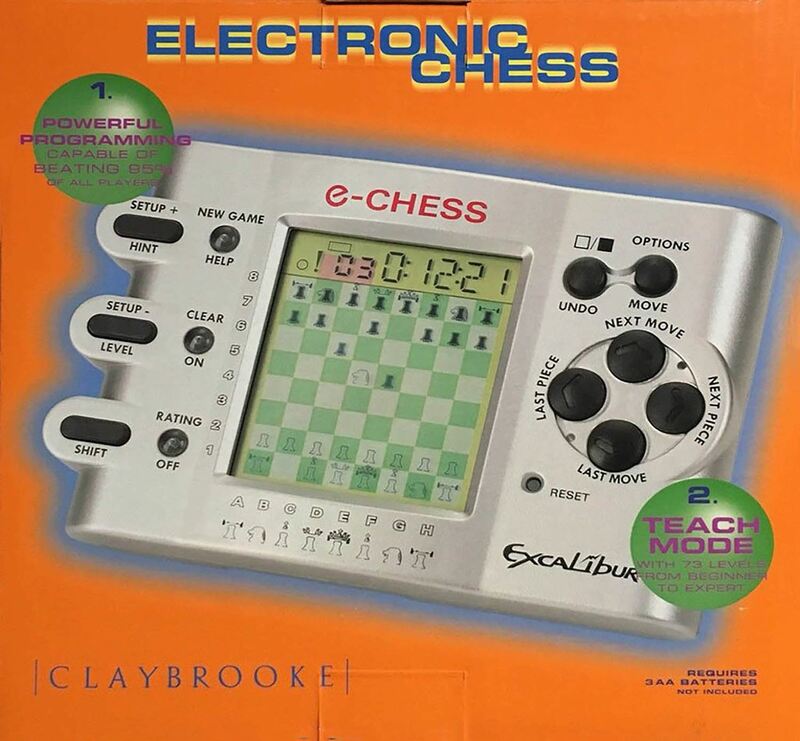 Your EXCALIBUR e-Chess partner is packed with valuable special features that can help you learn to play better and better chess -- and to have a lot of fun! Ce jeu est distribué par The May Department Stores Company , entreprise américaine, holding de grands magasins. Fondée à Leadville par David May en 1877, elle avait son siège dans le centre-ville de Saint-Louis au Missouri. Elle a fusionné avec Federated Department Stores, Inc. (actuel Macy's, Inc.) en 2005.